This classic Southern staple has the internet debating its deliciousness ... or lack thereof. Most of us have heard of peanut butter and banana sandwiches. After all, it was said to be one of Elvis' favorites. Some even like a little peanut butter slathered on their hot dogs! But peanut butter and mayonnaise? Apparently, it's a real thing (like, a real big thing) and it's been making the rounds on social media with people arguing for or (very) against this unusual concoction. An article in Garden & Gun magazine, which covers the Southern home and food trends, traced the origins of this sandwich to the Great Depression, when it was an affordable option for many ... and as popular as peanut butter and jelly in some areas. Jodie Pottorff Mull, who lives in Blue Ridge, Georgia, but grew up in North and South Carolina, as well as Florida, told TODAY Food via Facebook that she grew up eating peanut butter and mayonnaise sandwiches, often on Saturday for lunch after going grocery shopping. "A special treat was to add bananas as well as the mayo," she said. "However, I have never met anyone else who didn't make a face when I mentioned it." 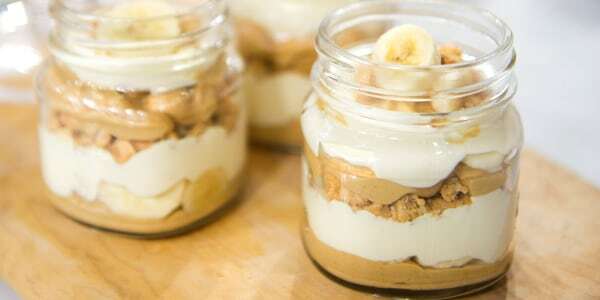 Chef Nathan Thurston of Millers All Day in Charleston, South Carolina, told TODAY Food he grew up taking peanut butter, banana and mayonnaise sandwiches to school in Greensboro, North Carolina. Thurston said it was a family tradition that he still enjoys eating today — and he's even considered adding a hot, griddled version to the menu at his restaurant. JIF peanut butter even has a recipe for a Peanut Butter BLT Sandwich on its website that calls for peanut butter, lettuce, tomatoes, bacon and mayonnaise or a creamy salad dressing. It's not really that surprising when you consider several famous cooks like Martha Stewart and Jeff Mauro use mayo in their grilled cheese sandwiches, and just generally how popular mayo really is. Of course, the internet can't decide if this is a match made in heaven or too yucky to comprehend. I'm Aussie and as a kid I combined the two and have since. Peanut butter in a sandwich a bit dry and you don't want to add jelly? Add mayo instead. I was five when I saw my mom eating a peanut butter-mayo-mustard-lettuce sandwich. She let me have a bite. It instantly became one of my favorite foods. Honestly, I don’t eat it enough, for how good it is! The best thing my mother came up with was a peanut butter-mayo sandwich with tomato and cucumber topping. And no - you don't have to be pregnant to love it. 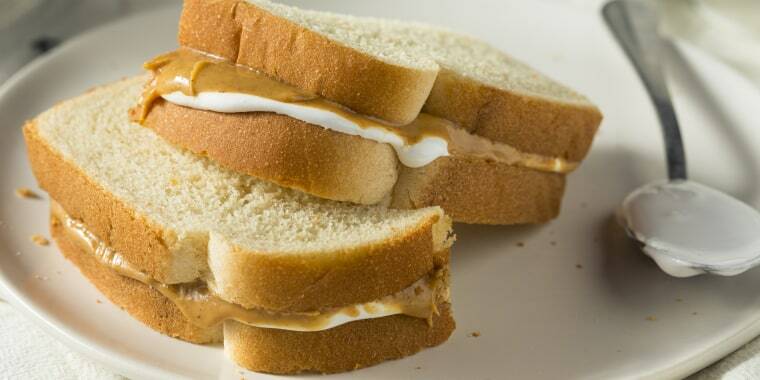 If you've ever made and consumed a peanut butter and mayo sandwich, we can't be friends anymore. But this certainly isn't the first time mayonnaise has been used in a creative (and utterly divisive) way. Food Network's Alton Brown recently slathered it on a pan-seared steak in place of butter or oil, and there's even an ice cream shop in Scotland which created a creamy, egg-like mayonnaise flavor. Mayonnaise: Whether you love it or hate, it's certainly here to stay and will continue to be used in a bunch of odd ways.